Many of my learning moments come from my clients. From groups to therapeutic sessions to speaking at conferences and workshops. One this that remains consistent across the different arenas, the word vulnerability makes people run for the hills. Is it the word? Or the idea of what they will need to do to show a representation of the word? Either way it brings a reaction to those hearing it. For some the face of vulnerability is anxiety. That face is one who starts to think of all the worst results of consequences of the action. One who is suspicious of the actions of others, while taking a second look at themselves? This face for many is overwhelming and not welcomed in intimate spaces. Many pretend they do not see this face or even have this face themselves. Another face of vulnerability is shame. Shame presents itself when the reminder to being vulnerable means sharing those actions we aren’t very proud of. The past we want to so desperately forget and hid from. The “old” self we no long want to be acquainted with. This face tends to sit back and observe every other face and want to pass judgement on others to deflect the shame they have for themselves. Vulnerability comes in the face of confusion for some. This face presents it’s self because pieces are missing. Either from extensive trauma or numbing. In addition numbing is another face of vulnerability. We numb because we hurt due to situations where vulnerability showed it’s face and we were taken advantage of. Hence the face of confusion. Lastly the face of vulnerability can be seen as a face of acceptance. A face that has traveled through all of the prior faces and maybe a few others. This face has run from being transparent and willing to change. Yet even in the time of confusion, a clear picture can be seen when you have the willingness to make change. Finding the balance between honesty and acceptance of self and others. We cannot change the things we are unable to change in the lives of others however we can change our perspective towards change. Being vulnerable is also about having the willingness to change. Vulnerability in itself is all about change. Changing the way we think and approach a situation and allowing ourselves the opportunity to let others in as others let us in. 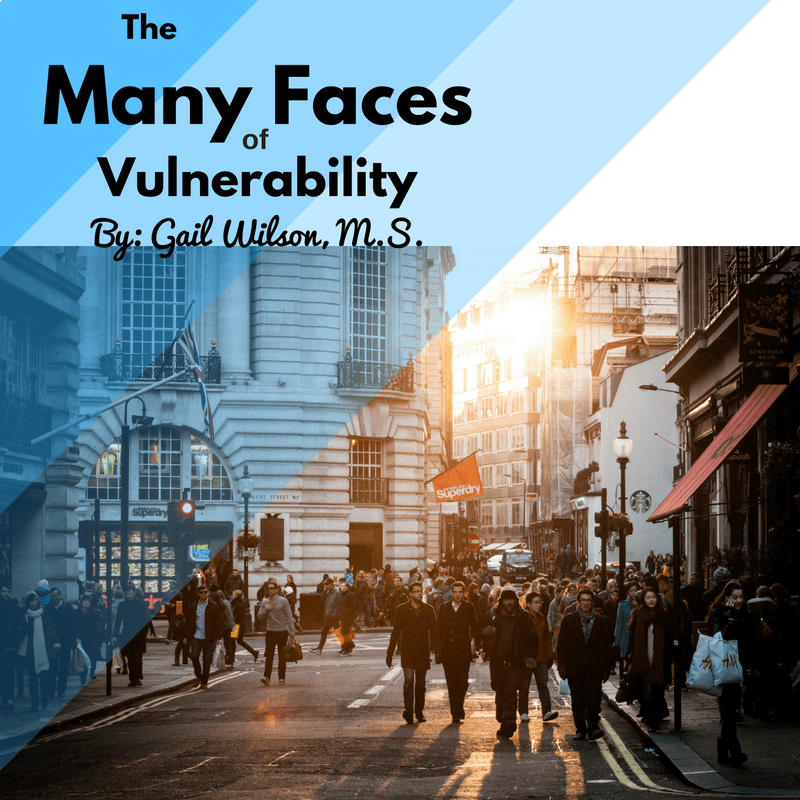 The face a vulnerability is a face we wear at some point or another. However as we continue to grow and learn from one another, take not on the faces that encourage us to change. Redefine your understanding towards vulnerability. It can be strong, empowering, supportive, willing, accepting and caring if you allow yourself to become vulnerable. These too are faces of vulnerability and I challenge you to use one of these faces instead!